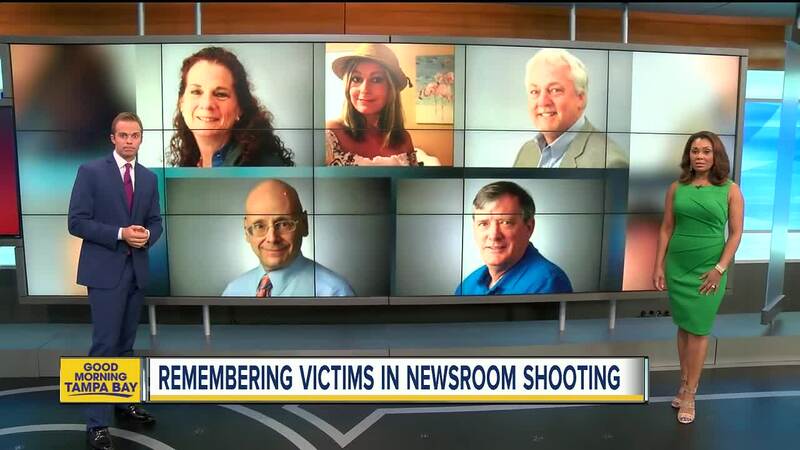 One day after a gunman opened fire on a newspaper newsroom in Annapolis, MD, killing five journalists and injuring several others, the opinion page of the newspaper was left "speechless." The front page of the Friday edition of The Capital Gazette reads "5 shot dead at The Capital" and if you turn to page A9 you will come to a mostly blank Opinion page. they might be better citizens." Jarrod W. Ramos, the man suspected of fatally shooting five people at the Annapolis newspaper, has been charged with five counts of first-degree murder .